I have a drabble- ie 100 word fantasy story in this one… so am excited and chuffed. First time I’ve been involved in a Kickstarter funded book. Thank you for supporting Drabbledark! With your help, we’ve raised $598, allowing us to pay our authors .05 cents a word for their stories! Over the coming weeks, we will be working diligently to get the final touches on the anthology and announce a release date for the respective formats. We look forward to sharing our stories with you and are excited to see what you think of our anthology of 100-word stories. This was a photo of our writing group rehearsing, with me reading, among the gravestones on a lovely sunny day at Undercliffe Cemetery for our book launch on Saturday June 9. Writer Irene Lofthouse who is running the course will be on @bcbradio at 5.45pm on 31 May with registrar Andy Manning talking about the launch. about a fast talking school boy for publication on her site and a piece written by one of my creative writing students, Linda H, A Summer Outing, which to Linda’s surprise and I hope delight, I had submitted on her behalf. Her short but beautifully written pieces evoke wonderfully sensory word pictures and her take is often a bit different. I am doing rewriting for my horror story, 5000 words, for the Infernal Clock’s latest upcoming anthology, DeadCades. Steph Ellis of the Horror Tree has accepted a short story of mine, 1600 worder, In the Frame– something is watching from inside the oil painting, something angry, something hostile and it wants to escape. Hello Gail and welcome to my blog- it’s great to have you as a guest writer today. 1) Have you always been interested in writing? How did you get started? I lived overseas during my twenties and spent lots of time writing to family and friends. I’ve always wanted to write about my experience of living in Papua New Guinea but other projects seemed more viable so I started writing short fiction alongside novels and poetry. 2) Which writers/books have influenced you? As a child? As an adult? I was a non-reading child. Although I could decode text, I never saw books as a source of interest and pleasure. I didn’t read a novel until I was seventeen and commuting into town for work. As a result I have a patchy reading history and I tend to read lots of different authors. I particularly like books that take me on journeys across the world so that I can continue to travel vicariously. Bruce Chatwin is one of my favourite authors. 3) Do you have a particular routine and a dedicated writing space? I have the tiny corner of a shared desk in a small upstairs study. The window overlooks the water meadows towards the north of Dorchester which is a lovely distraction. My writing generally follows a nine-to-five routine. My husband returns home from his office for lunch so I always take a break at midday. 4) Where do you get your ideas for your stories? I like ideas that catch me unawares; the ones that come to mind when I’m running or changing beds or doing shopping. I tend to mull over ideas for quite a long time before putting them to paper. Ideas come from all sorts of places: photographs and magazine articles to overhead conversations and observations. 5)You’ve had such a varied writing/teaching creative CV – what are the highlights for you? I love teaching creative writing to undergraduates and have held two visiting tutor posts over recent years. I also like writing collaboratively and have co-written a short play which was staged in Brighton last year. Currently, I’m working on a comedy sketch night with two other writers which will be stage in Bridport in the autumn. 6) Writing is a solitary business. How do you connect with other writers? I’m active on social media and have met lots of interesting writers through Twitter chats and online networks. There is a thriving community of writers in Dorset and the monthly Apothecary Open Mic night in Bridport provides a great opportunity to network. 7) This latest collection, the quirkily named ‘Paisley Shirt’ from Chapeltown Books, is flash fiction. How did you get into writing flash? Do you prefer writing short fiction? What are the rewards/difficulties of writing both shorter and longer pieces? I like writing flash fiction alongside writing a novel. Flash fiction brings satisfaction when a story is finished and to have something completed helps keep me working on my novel. All the skills developed by writing flash fiction (like the ability to hone and edit a piece of writing) can be applied to longer projects, so nothing is wasted. 8) You always seem to have several projects on the go Gail. Can you tell us about what you are working on currently? I’m busy with a new novel and a six-year-old narrator called Mikey. It’s great exploiting the gap in understanding between Mikey and the adults around him. I love the patterns of language children use and it’s fun to write. My longest running project is a 90-minute screenplay which I’m writing with four others. We’re on the second draft but it’s taken us eighteen months to reach this point. Otherwise there are short fiction stories and poetry to keep me going. Personal favourites – ‘It Takes Two’ with an ending you won’t guess; ‘These Six Walls’ – a future world filled with ‘Hive Rises’ and their inhabitants and ‘A Perfect Eight’, where Octopussies rule and sisterly love mutates . I have found Esther’s blog an invaluable resource for information on writing generally, teaching my creative writing classes and for magazines and competitions where you can send your work. Calling all bloggers! Well, not all of you – I don’t think I could cope with you all as Guest Writers on my blog. But if any of you have something to say, or want a piece of fiction, or a poem, shared, please get in touch. It’s always a pleasure to read others’ work and to feature it on my blog. If you’d like your writing to appear on this page, please contact me here or by e-mail: estherchilton@gmail.com. I accept stories, poems, articles – in fact, anything and everything. All you have to do is make sure your prose is no longer than 2000 words and your poems no more than 40 lines. I was at a workshop led by Alison yesterday in Portal 2 ie 2nd floor of the grandiose Leeds Library next to the Art Gallery. Alison’s theme was ‘chick noir’ a relatively new genre which has/is taking off. Alison does entertaining, accessible and informative workshops and is always happy to chat and answer questions. Check out her thriller- The Disappeared. I haven’t yet experienced what it feels like to have a child leave home but I suspect it’s similar to having a book published. It’s now out there in the wide world, outside of my control, ready to be judged on its own merits. I’ve been reading this morning about the army man who tried to kill his wife by tampering with her parachute. There was a photograph of him with his parents and I wondered how they felt as he was found guilty. Do they feel responsible for his behaviour? For his lack of humanity? For the fact he’s bad? Esther’s blog is a useful, informative resource for all writers- for comps, tips, resources, planning notes and showcasing work. Housewife and amateur historian, Gillian lives with her husband and son in a 400-year-old house, which they’ve been restoring for the last ten years. Gillian is the secretary for the local history group. She has co-written two booklets about the history of Frizinghall and Heaton, in a format suitable for school children as well as adults. She has also written and produced two DVDs about Frizinghall and Heaton. Gillian gives talks to the Mother’s Union and takes school assemblies to promote local history. I was sitting at the computer, writing the latest random word short story, when up popped an ‘email’ alert in the corner of the screen. Oh no, I thought, as I caught a glimpse of the sender’s name. So I closed my document and went to the message. It wasn’t her usual emergency, which involved a last minute babysitting request. This time I reached for the phone to call straight away. “Hi, Gemma,” I said as she answered the phone. I’d learnt from experience that it was no use trying to talk with Gemma over the phone whilst she was in a state. It would be Roger’s birthday at the weekend and it was already Thursday. As I pulled up in the car, there was Gemma, waiting by the over-sized cardboard packaging on the drive way. Gemma ran towards me, “Thanks for coming over.” Relief swept over her face. I began to examine the greenhouse packaging and noticed that they were individually labelled in to their sets. There was something else I noticed too. Gemma looked up at the sky, as it dawned on her. The first year Flora and her family lived in the farmhouse there was just the one visitor who came to stay. She remembered it well. Her children found him endearing. Flora was not so enthusiastic, although he could be charming when he wanted to be. The next year, the visitor returned, along with a couple of his friends. These visits continued for several years between October and February. Their presence was becoming a familiar routine and anticipated by Flora as soon as the days became shorter. 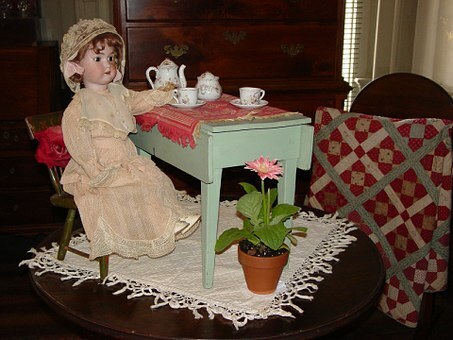 Until last year, Flora’s visitors had remained courteously to one room in the house. Now, they were so familiar with the place they entered every room! Not only that, but this year they didn’t leave in February but extended their stay until the end of spring. Her husband reluctantly agreed. The visitor had disturbed his sleep by making rustling noises in the night. Up until then, he hadn’t been disturbed by him at all. A year has passed and Flora, her husband and children have the farmhouse back to themselves. Well, almost. Tom, the cat, is now in residence and not a peep from those visitors has been found since. I was lucky enough to receive a preview copy for review purposes- of this fabulous short story collection from Mandy Huggins who has been interviewed on my blog and publisher Retreat West. 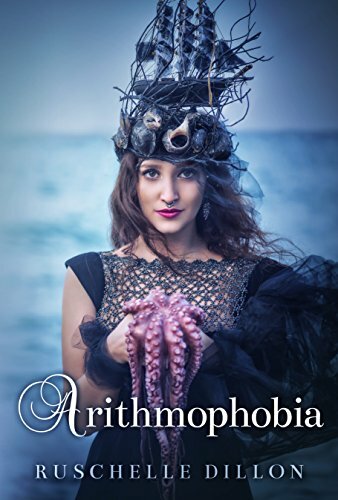 Having previously read and enjoyed Amanda Huggins’ flash fiction collection ‘Brightly Coloured Horses’, I was anticipating her new collection of short stories, ‘Separated from the Sea’, published by Retreat West, with the relish you bring to a gourmet meal. I was not disappointed. Each story is a brilliant jewel, superbly crafted by a word smith who plies her trade and is at the top of her game. Amanda Huggins paints word pictures in just a few lines – which depict both the exterior world of the characters be they in Japan, on the British coast, or Havana and Italy and at the same time, reveal the characters’ interior landscapes. Each story delicately draws the reader in, spinning its web of word magic, evoking emotions and pinning down the crucial moments of change. There is a world within each tale and each is complete in itself. They all can be and should be reread, for it takes more than one reading to unpeel the layers of emotion and revelations. The last lines often ring like a bell, remaining in your memory and making you think beyond the story’s conclusion. We meet disillusioned lovers at the dying tail-end of their affair, teenage girls learning hard life lessons, in a favourite of mine, the wittily titled ‘Sardine Herding’, girls who have lost their fathers, lost loves reunited then betrayed, (in the sadly hopeful ‘Enough’) and women finding the courage to leave. Several of the stories are linked by the theme of the sea, living by the coast, how life and work there moulds people’s characters and expectations. The briefly beautiful piece, ‘Sea Glass’ spills family secrets from the mouths of children, who treasure the sea glass of the title. 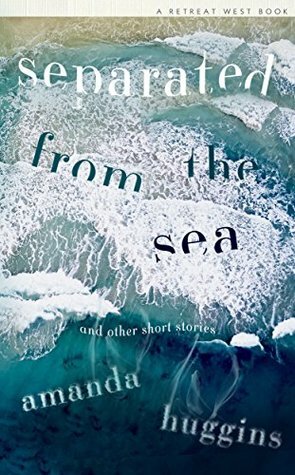 The opening story, (which also provides the title of the collection) ‘Separated from the Sea’, ruminates on how a girl and her mother cope after the death at sea of the fisherman father/husband. This is a collection to be bought, and treasured, to be read now and in ten years time.